Homepage / Tips / Does the Health Plan Cover Vaccine or Not? Does the Health Plan Cover Vaccine or Not? Many people, who want to make a health plan , are not very knowledgeable about the coverage they offer after hiring, and one of those questions concerns whether the health plan covers vaccine . As much as health plans exist to facilitate access to the best doctors without delay or queuing, immunization of some diseases through vaccines is critical. But before you know if your health plan covers vaccine , check out a little about them. But why so many types of vaccines? But does the Health Plan cover Vaccine? A lot of people think that only a child needs to get a vaccine, but its not like that. Not only babies, but adults need to be immunized against diseases, and especially, women who intend to become pregnant. Despite all the campaigns and clarifications made by the government and the eradication of various evils throughout history, through the method, still today there are those who have doubts about its effectiveness, usually only by ignorance about its operating system. Because information has always been and remains the most effective weapon against disease, it is never too much to reiterate how vaccines work and how to get them. Vaccines have been produced to trigger certain responses from our immune system, which uses your defense systems whenever an aggressive agent enters our body. What the vaccine does is “teach” our immune system to recognize some of these agents, preventing the development of the disease by producing specific antibodies to fight them. For this to happen, however, it is necessary that the vaccine itself be prepared with the components of this same aggressor agent or some that resemble it. But these components, when in the vaccine, do not harm the organism because they are in an attenuated (weakened) or inactivated (dead) form. Therefore, some peoples belief that the vaccine “puts the disease in the body” is completely wrong: no one gets the disease because they take a vaccine , which is just the opposite. But each vaccine has a certain time to start acting, which we call “window”, and it can happen that the disease, which was already established in the body before it receives the dose of vaccine, end up manifesting in the meantime. They are those produced with bacteria or viruses killed by chemical or physical processes, such as radiation, formaldehyde treatment or heat. Among the bacterial inactivated vaccines are the vaccine against typhoid fever and DTP (against diphtheria, tetanus and pertussis). On the other hand, inactivated viral vaccines are hepatitis A, hepatitis B, polio (parenteral), HPV, influenza and rabies. These are composed of bacteria or viruses that are still alive but have lost their ability to cause the disease because they have been grown in an adverse environment. These agents are weakened by genetic mutations, for example, so that processes essential for their normal development are modified. In the list of attenuated viral vaccines we find those against mumps, measles, rubella, poliomyelitis (oral), rotavirus, yellow fever and chickenpox. Vaccines against typhoid fever (oral) and BCG (against tuberculosis) are bacterial attenuated. Vaccines with antigens of more than one infectious agent are the combined vaccines. They protect against more than one disease because they are produced with molecules present in different types of viruses and bacteria and that trigger the immune reaction. Among them are DTP (against diphtheria, tetanus and whooping cough) and SCR (against measles, mumps and rubella). When it is possible to combine immunizations that are usually done separately, it is possible to achieve an even greater spectrum of diseases in a single application. This is the case of DTP plus Hib (against influenza type B), which forms the tetravalent. The idea in this case is to achieve an immune response through specific components of the pathogen, such as a carbohydrate or protein. 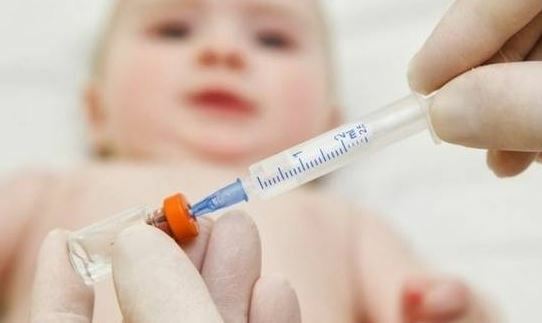 Infantile pneumococcal and hemophilic type B vaccines are two examples. You must be wondering why so many types of vaccine and if they could not be done all the same way. The point is that they have specific applications that fit into different cases. Between the attenuated and the inactivated, the immune response varies in speed and intensity: the attenuated ones offer more protection in the long term and with a single dose, besides being more common for the viruses. In contrast, although safe in healthy subjects, they should not be applied in pregnant women and immunodepressed persons, and their application in such cases depends on the specific medical release. Inactivated vaccines, both for viruses and for bacteria, elicit less intense and long-lasting immune responses, and require several booster doses to provide effective vaccine coverage – but on the other hand, fewer adverse effects. In general, most vaccines are provided by the public health network, since it is SUSs role to immunize the population, but the coverage of health plans varies with the procedure. Some vaccines have mandatory coverage, such as the dengue vaccine (for at-risk groups) and OncoBCG, for example, according to Law 9,656 / 98, but others may be fully charged by private clinics. Many health plans, however, offer partial reimbursement or discounts on some vaccines. When in doubt, the advice is to seek a health plan consultant or the National Supplemental Health Agency (ANS) for further clarification on the coverage of your plan . Next post Is Dementia the same as Alzheimer’s?